Sitting astride your motorcycle and going anywhere that your fancy takes you is one of the freest feelings in the world. A long-distance trip, though, isn’t just about the wind in your hair. When you are hours from home, changes of clothes, a sleeping bag and a cooler can begin to seem important. Finding a small cargo trailer to hitch to your motorcycle is one of the best ways to enjoy the freedom of the open road on two wheels while still staying practical. If you are a first-time buyer, a look at the hundreds of motorcycle trailer models on the market is likely to make your head spin. How large a model should you buy? What kind of construction makes for the best trailering experience? Is a trailer likely to catch the wind and slow you down? These are all valid questions. Here’s a quick rundown of the five most important points to keep in mind while looking through trailers for sale. When you decide that you need a trailer for practical necessities on the road, it can be easy to get carried away thinking of all the clothes, tools, first aid paraphernalia and outdoor survival gadgets that you could use on the road. It can begin to seem that small trailer models are simply impractical. You need to remember, though, that motorcycling isn’t about towing a small RV. A large trailer isn’t advisable for safety reasons. 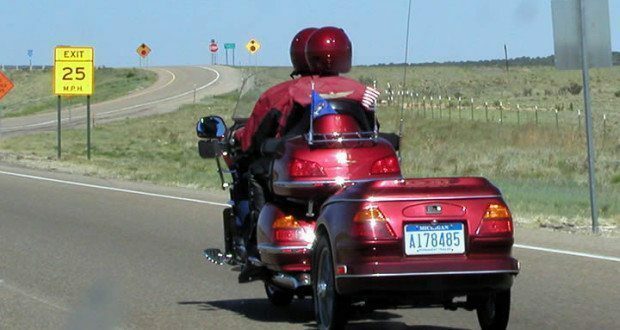 If your trailer is wider than the widest portion of your motorcycle (with the saddlebags included) you will likely experience considerable drag and turbulence. Additionally, towing an unwieldy trailer will force you to drive on the middle of the road – a part that is likely to throw up a bit of road oil on the underside of your motorcycle. 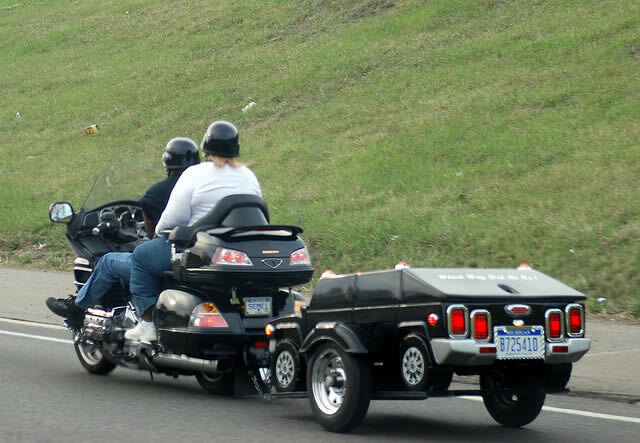 While even the smallest touring motorcycle is powerful enough to tow the heaviest motorcycle trailers, you need to consider the effect that a heavy trailer is likely to have on your overall riding experience. When fully loaded, a trailer shouldn’t weigh more than 200 to 300 pounds. A heavier trailer is likely to prove a drag. While you need a lightweight design, the lightness shouldn’t come at the expense of sturdiness. A motorcycle trailer needs to see rough roads and rough handling for years. From time to time, you will likely need to use it for loads that it was never built for. While you can get very lightweight models that are built of steel angle, these aren’t likely to take everything that you throw at them. Look for a trailer that’s built of tubular steel with hand-laid fiberglass on top. If you’ve never towed a trailer behind you on a motorcycle, it can be easy to underestimate the importance of careful, streamlined design. A motorcycle trailer sits right in the way of a motorcycle’s exhaust stream. In careless trailer designs, smoke from the exhaust isn’t allowed to get cleanly away. Instead, it gets caught up in a turbulent vortex created by the design of the trailer and runs up front. The motorcycle rider can easily find himself in a permanent cloud of carbon monoxide this way. You need to look for a design that is narrow in front but that flares towards the back. Many trailer manufacturers try to offer engineered cargo trailer cargo holds. They offer special compartments, boxes and pockets, for tools and outdoor survival gadgets. While they may seem to offer convenience at first, they aren’t a good idea for a general-purpose storage area. They take up space that you could need to put in large items like a set of golf clubs. Careless trailer designs are often inherently unstable. When you go shopping, you want to put quality of design above everything else. Bill Nixon is a former associate at trailer superstore. Now retired, he enjoys sharing his experiences by blogging on the Web. Posts from this account have been submitted by third party writers. They include guest blog posts and advertorials. 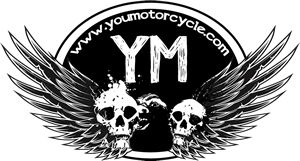 The best way to learn more about YouMotorcycle is by visiting the Home page or the About page, but you can also contact us!